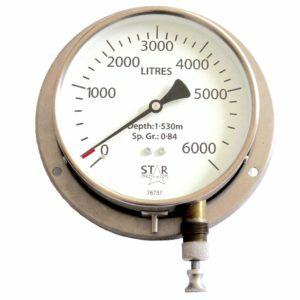 For continuous monitoring of tank contents with a depth of up to 10 metres. Brass, bronze or stainless steel contact parts ensure their suitability for a wide variety of liquids. The gauge is fitted at the bottom of the tank and shows the actual head of liquid above the gauge. 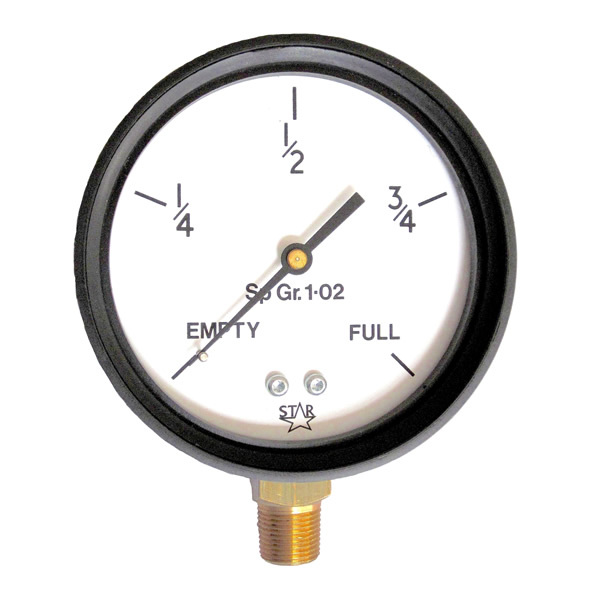 Special dial markings to order, gauges can be supplied with dial graduated in fractions or 0-100% for standard rectangle tanks.